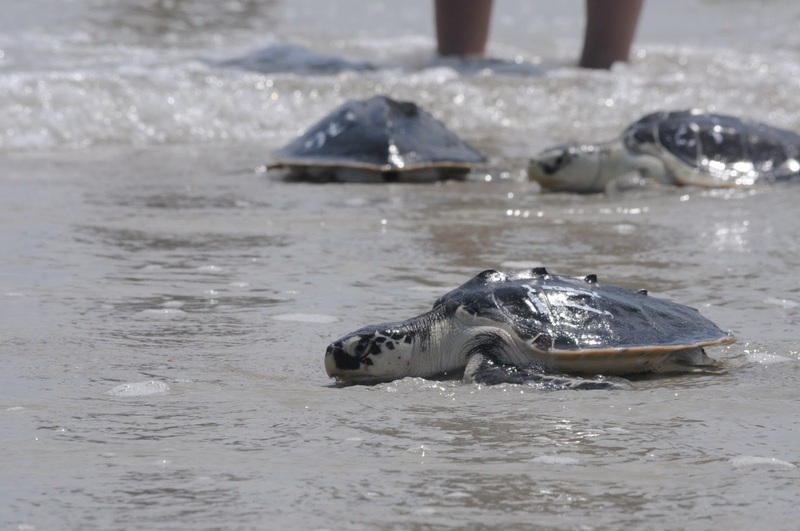 Pictures from Sea Turtle Trek: Swim, turtles, swim! 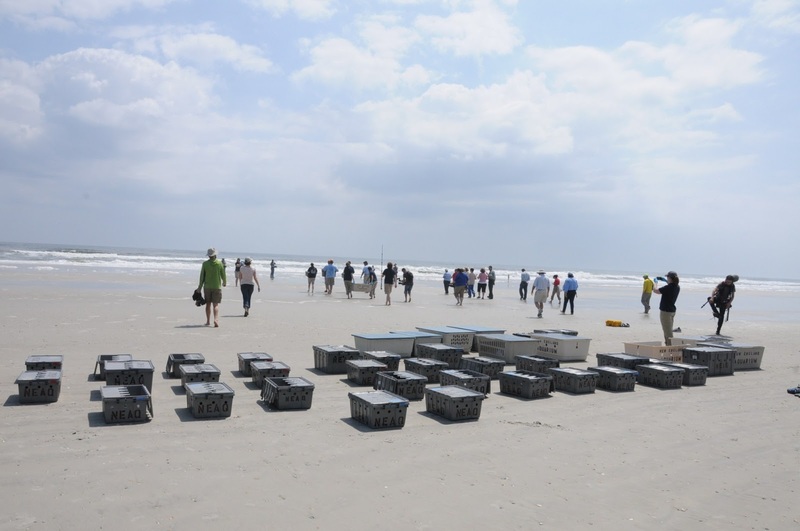 The New England Aquarium's rescue team just completed an East Coast endangered species express, bringing around 50 rescued sea turtles to sunny Florida for release. 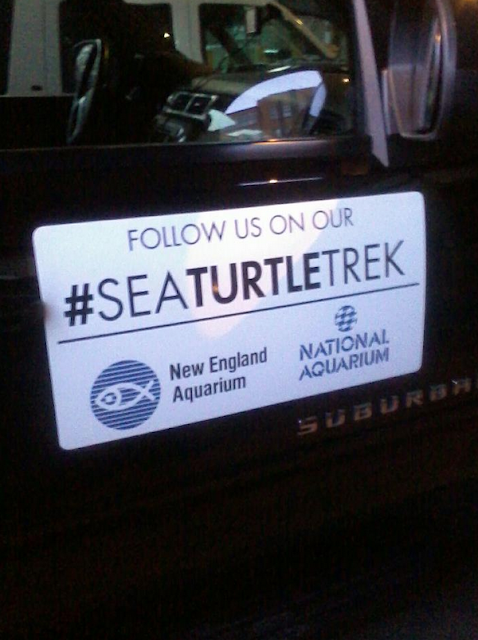 Stay tuned right here for more pictures and information about the Sea Turtle Trek, follow us on Facebook and be sure to track #SeaTurtleTrek on Twitter, Tumblr, Google+ and Instagram. And here's what we've all been waiting for...the turtles have been released! A heartwarming success for three species of endangered turtles. Safe travels, turtles. Three Kemp's ridley turtles return to the wild ocean. Getting ready to enter the big blue! 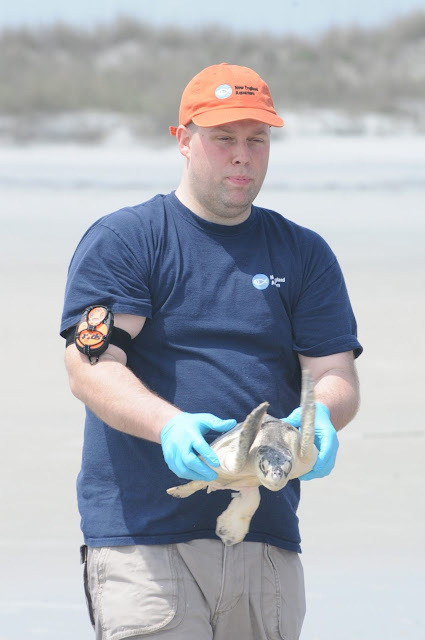 Aquarium biologist and satellite tracker guru Adam Kennedy carries a turtle for release. 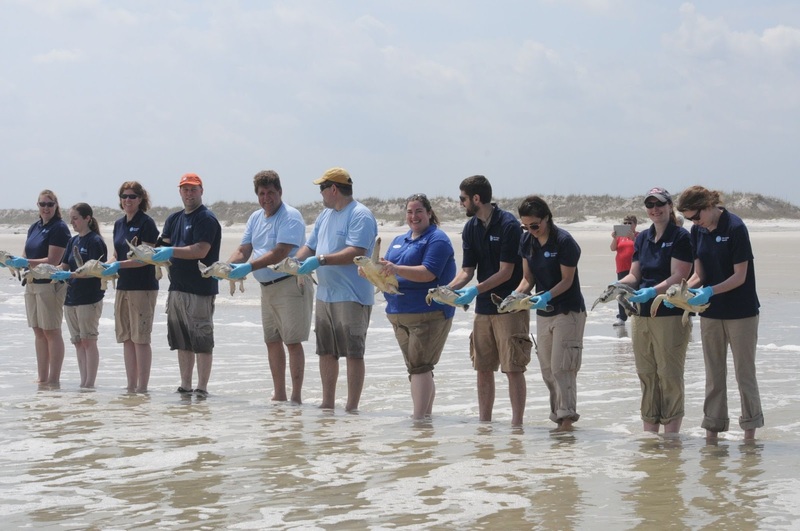 With 52 turtles to release, the rescue teams had to do the releases in batches. That's right, 52 turtles! Even more turtles in boxes ready for their release. Aquarium rescue team member Kerry McNally prepares to release a turtle—on camera. 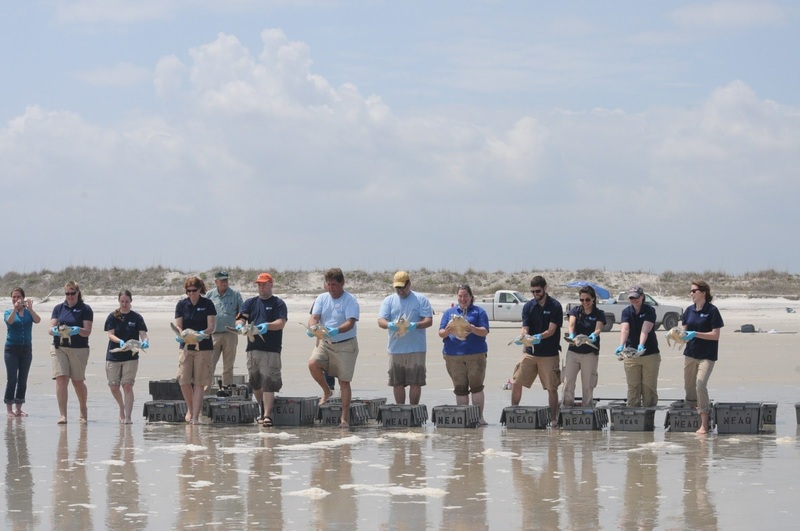 Several turtles were released at one time—what an amazing sight. Thanks to so, so many: National Aquarium in Baltimore, University of New England at Biddeford, National Marine Life Center, Riverhead Foundation, Virginia Aquarium and the South Carolina Aquarium teams... just to name a few. 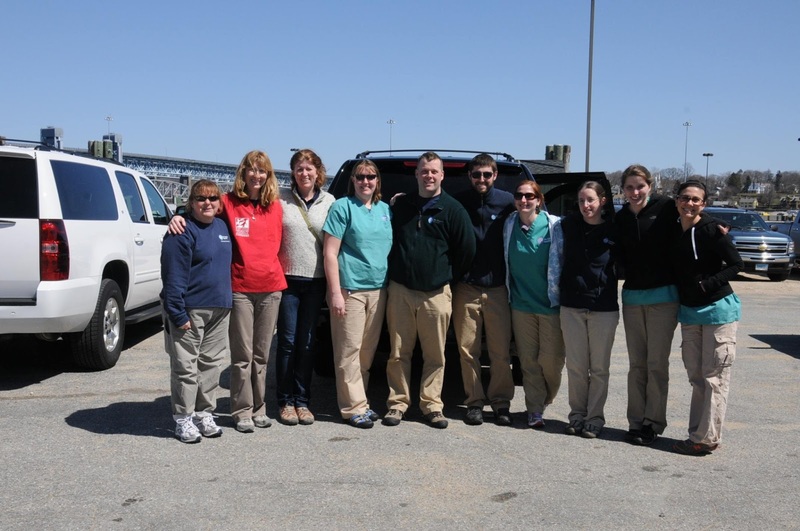 The team from National Aquarium has joined our caravan, now we're on to Virginia Aquarium and the South Carolina Aquarium! And we're moving right along! 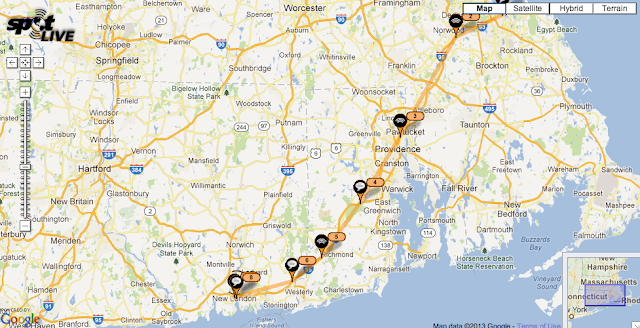 Here's the team's whereabouts at about 10 p.m. on Saturday. See the latest satellite maps. 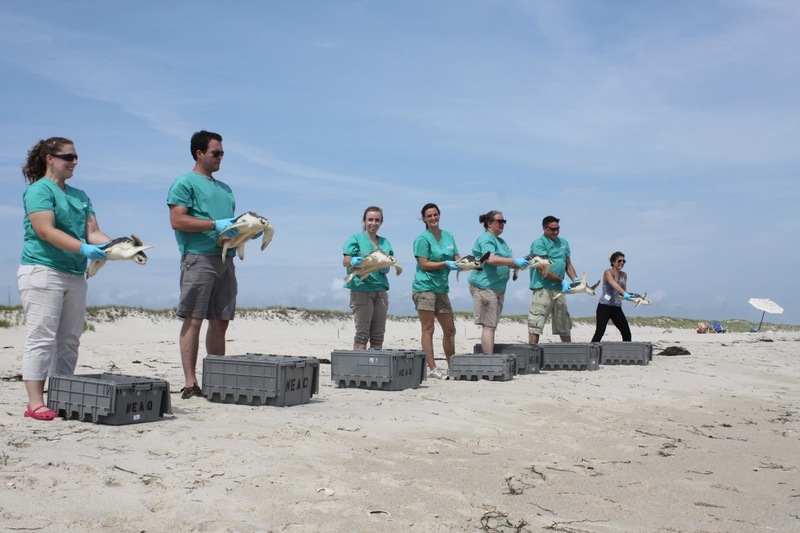 Turtle Transport: Get ready for the Sea Turtle Trek! This is a media release cross posted from the Aquarium's News and Updates Blog. 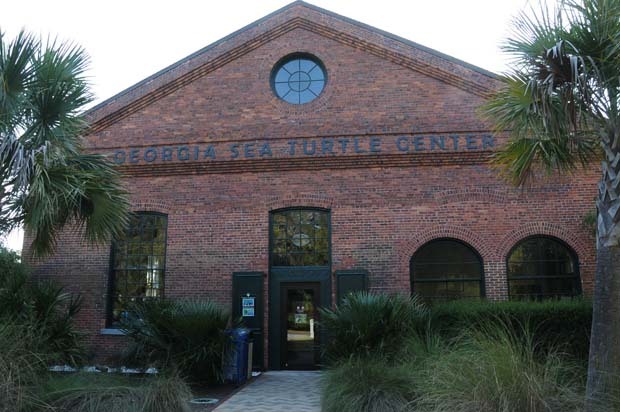 Stay tuned right here for more pictures and information about the Sea Turtle Trek, follow us Facebook and be sure to track #SeaTurtleTrek on Twitter, Tumblr, Google+ and Instagram. These sea turtles are the last major transport of the record 242 sea turtles that washed up on Massachusetts beaches due to hypothermia last November and December. 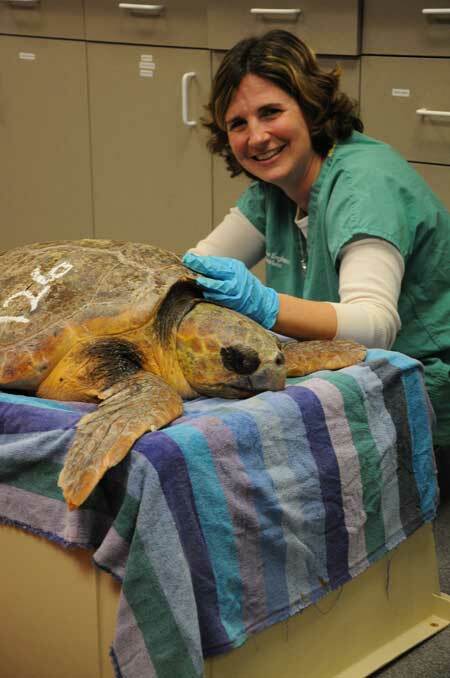 Cold-stunned sea turtles strand every late autumn on Cape Cod. There, they are collected by the dedicated and hardy staff and volunteers of the Massachusetts Audubon Sanctuary at Wellfleet Bay who search miles of beaches in cold, blustery weather. 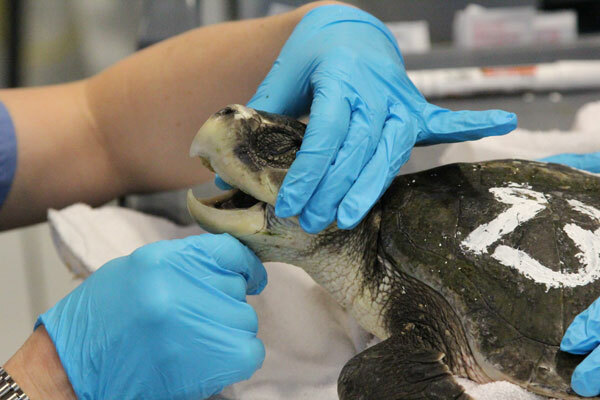 The mostly inert turtles are then transported to the New England Aquarium’s Animal Care Center in Quincy, MA, about ten miles south of Boston, where they are slowly re-warmed and treated for months with many other life threatening medical conditions. In an average year, about seventy juvenile, Kemp’s ridley, loggerhead and green sea turtles are taken in. 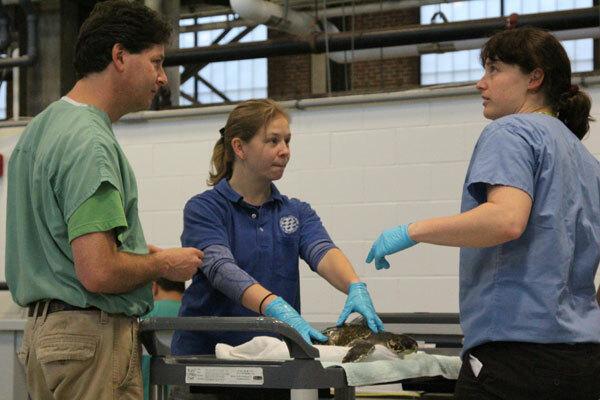 Scenes from cold-stun season: Rescue experts from National Aquarium in Baltimore speak with the Aquarium's chief veterinarian Dr. Charles Innis during the busy sea turtle stranding season. 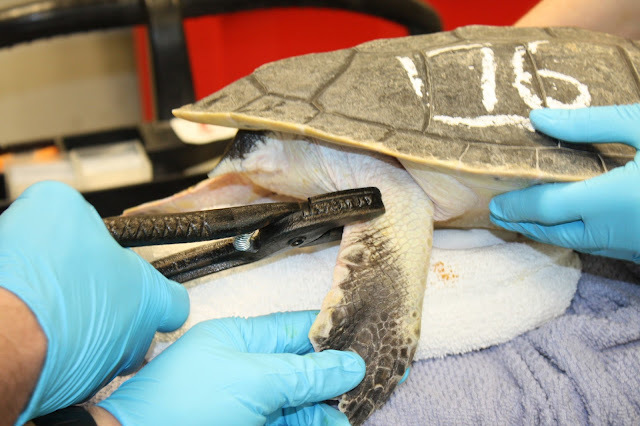 This past year, between Thanksgiving and Christmas , the flow of these critically ill sea turtles just never seemed to stop. The Aquarium’s state-of-the art sea turtle hospital has a capacity of about seventy animals. 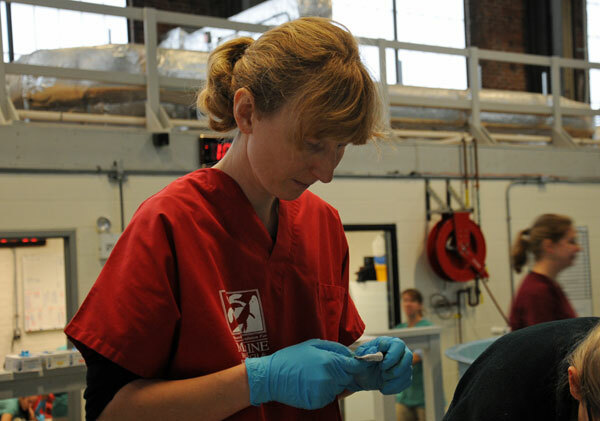 Connie Merigo, head of the Aquarium’s rescue team, quickly reached out to other aquariums and marine animal rehab facilities all along the East Coast to take in sea turtles that had already been re-warmed and stabilized. 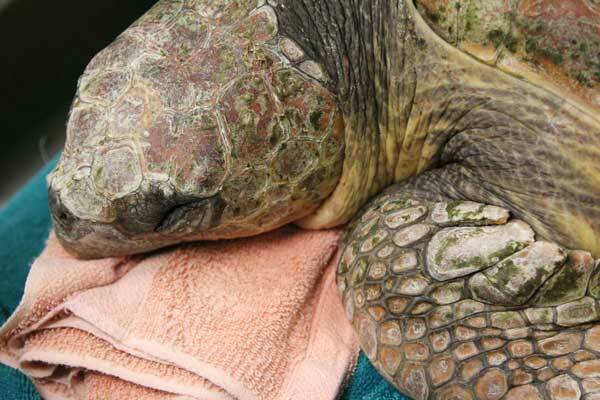 Since then, many of these turtles have already been treated and released. The Sea Turtle Trek will collect the most of the remaining sea turtles that are ready for release in the Northeast and Mid-Atlantic states. 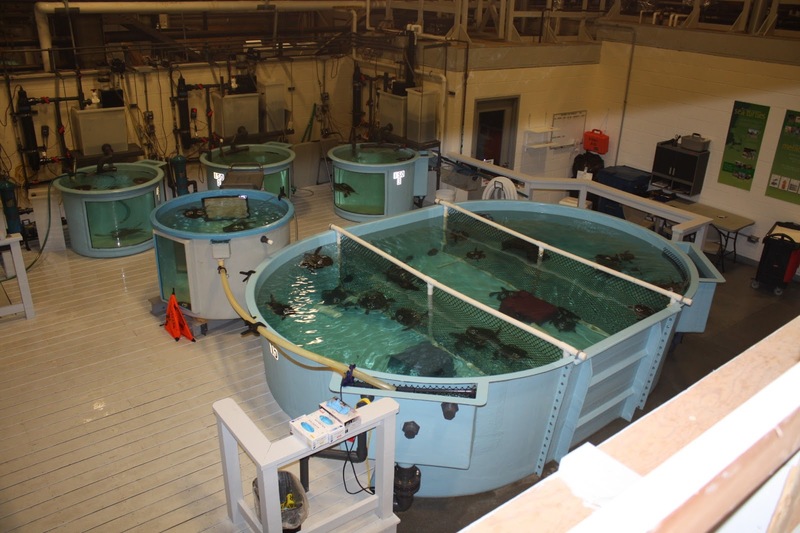 Early Saturday morning, biologists at the University of New England (UNE) in Biddeford, Maine will lift five, chestnut brown-colored, loggerhead sea turtles from their tanks and package them into dry, padded crates for transport two hours south to the New England Aquarium’s Quincy site. 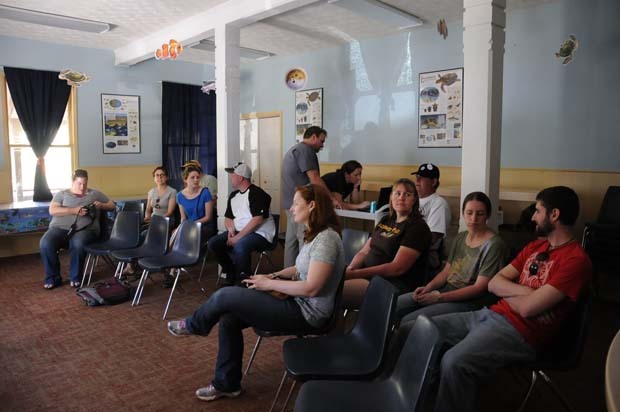 At the same time on Cape Cod, staff at the National Marine Life Center (NMLC) in Buzzards Bay will prepare four charcoal-colored Kemp’s ridleys for an hour and a half ride north to Quincy. 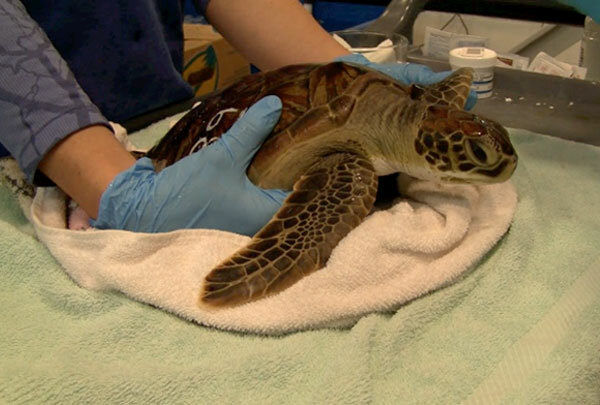 There, those nine animals will join twenty-eight more from the Aquarium’s sea turtle hospital to begin the Sea Turtle Trek’s long drive south. 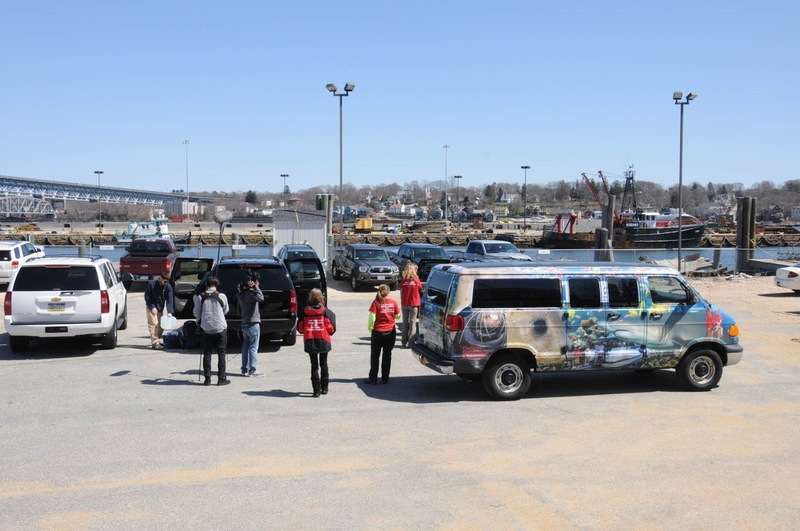 In Connecticut, the turtle caravan will stop briefly to off I-95 to pick up four loggerheads that will be ferried across Long Island Sound from the Riverhead Foundation for Marine Research and Preservation. With forty-one marine reptiles in tow, the Sea Turtle Trek will drive to the National Aquarium in Baltimore by early Saturday evening to pick up one green, one Kemp’s and one loggerhead. 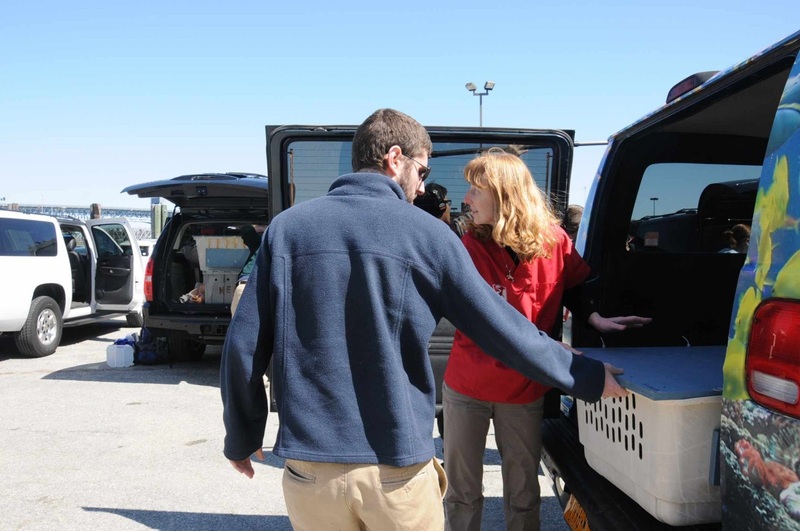 Then with forty-four animals, the trek will stop at the Virginia Aquarium and Marine Science Center in Virginia Beach in the late evening. 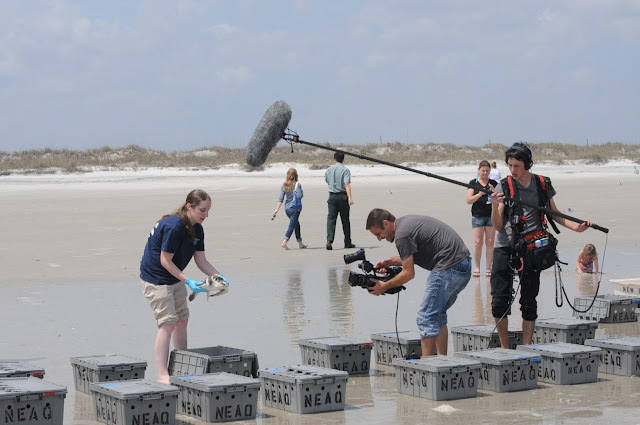 Scenes from cold-stun season: An expert from the Riverhead Foundation in New York who was on hand to help during the record sea turtle stranding season. 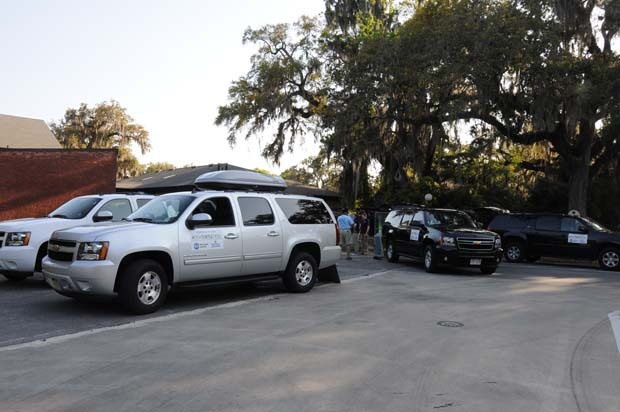 Traveling overnight with multiple drivers, the Sea Turtle Trek hopes to arrive in the Jacksonville, Florida area by late Sunday morning. 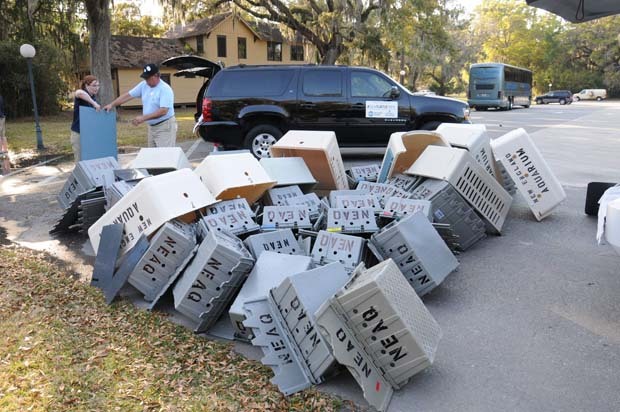 There, officials from Florida Fish & Wildlife will select a release beach in the region, and forty-six endangered and threatened sea turtles will crawl down a beach to re-enter the ocean. All of the people and organizations who have helped these sea turtles along their unusual paths hope that they live long lives and contribute to the recovery of their threatened and endangered populations. 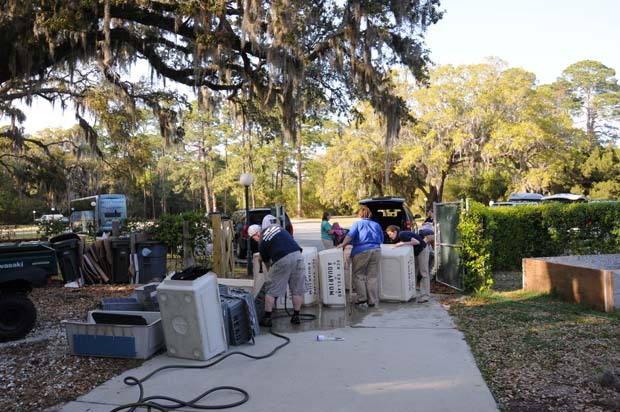 Throughout this past record-breaking season we have had many transports. Come this Saturday, April 6, we are starting one more. 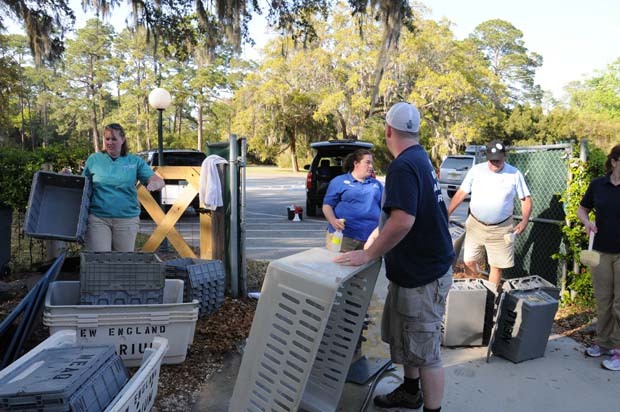 This long transport south will be to release 28 sea turtles that have completed their rehabilitation at the NEAq Animal Care Center in Quincy. For those keeping count that leaves us with 16 turtles still in-house. Some of the 27 Kemp's ridley sea turtles that will be released on Sunday! 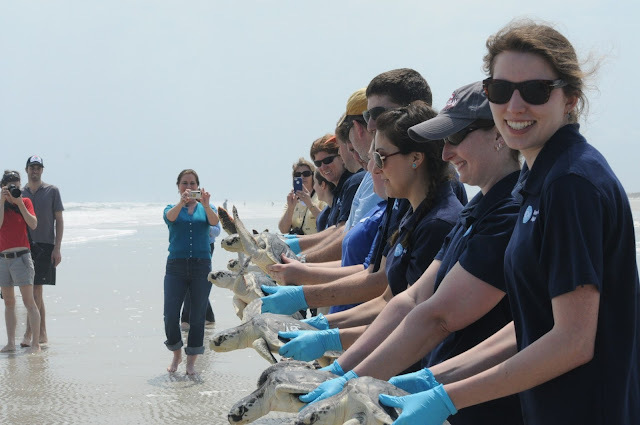 One loggerhead and twenty seven critically endangered Kemp’sridley sea turtles will be heading home to the Atlantic Ocean on Sunday morning! Lindsay (one of our spring interns) holding 256 our loggerhead that will be released. 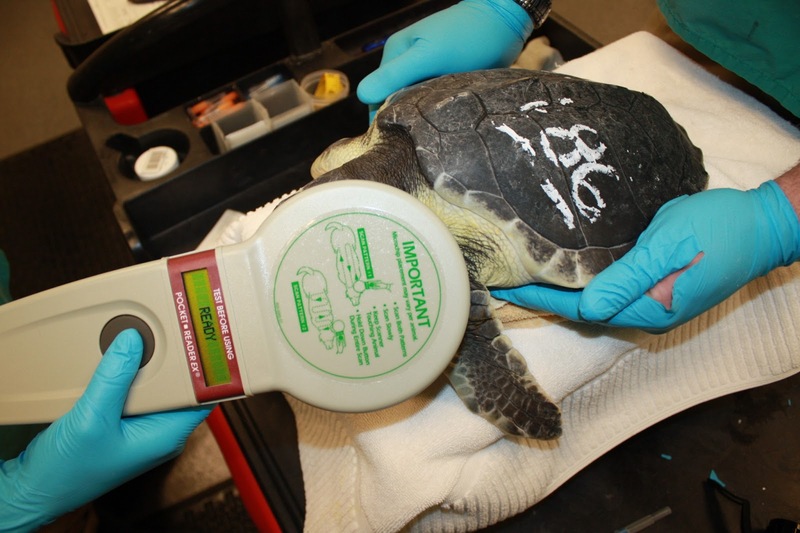 However, prior to the release every turtle needs to get a PIT tag. Applying the tag into the front flipper triceps. PIT tag reader scanning for the inserted PIT tag. 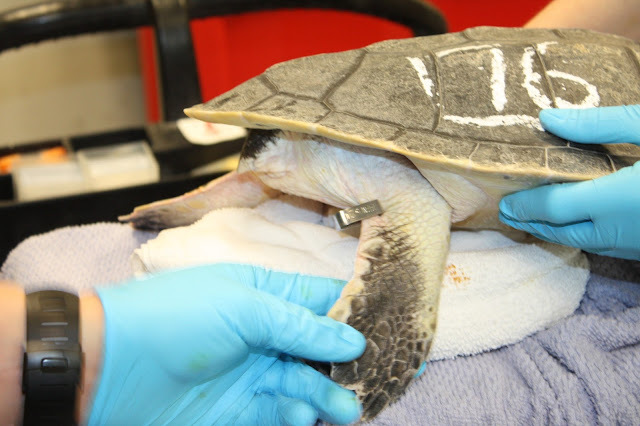 If the turtle is large enough they also get tagged in the rear flipper. These are called Inconel tags. These tags are quite obvious and do not need a scanner to find. 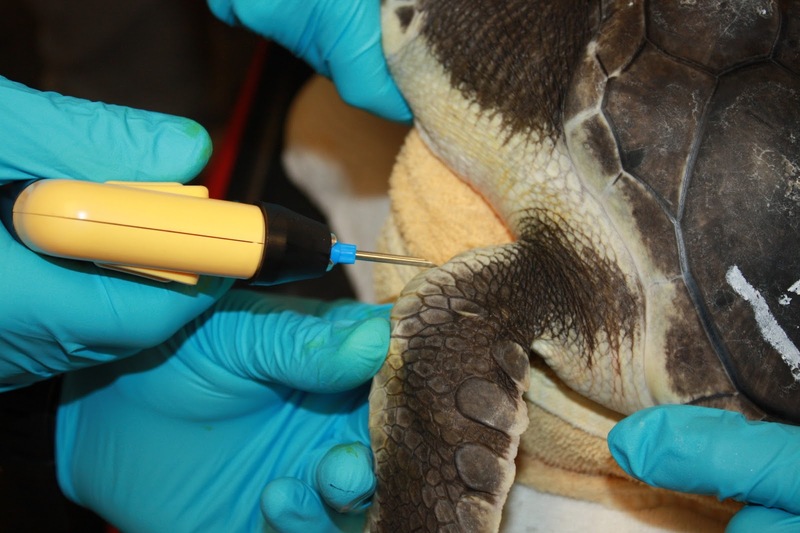 We do not have to tag small turtles so as not to increase drag on the turtle. This transport will also include turtles from NationalAquarium in Baltimore, University of New England in Biddeford ME, NationalMarine Life Center of Bourne, the Riverhead Foundation for Marine Research andPreservation Long Island, and the Virginia Aquarium. From our release last year in NY. Multiply this by 6 and add a few more turtles and it will give you a rough idea of what Sunday will look like!